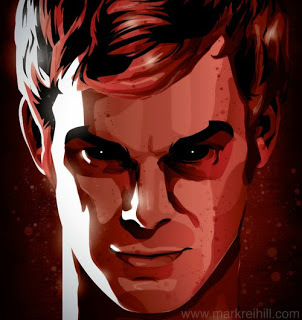 Welcome back to the dark, twisted world of Dexter Morgan. For the uninitiated, Dexter is a complicated figure. He’s a serial killer, for one thing. But he also works for Miami’s homicide department as a blood spatter analyst. He walks the line between law and disorder thanks to the Harry Code, a strict guideline taught to him by his adopted father to keep his hobby in check. The Harry Code allows Dexter to kill only people who, it could be said, deserve it. People who have slipped through the cracks of the justice system for one reason or another. A serial killer vigilante. Last time, we were introduced to Dexter as he faced off with his biological brother, who escaped and ran off–but not before Dex’s adopted sister, Deborah, found out about her brother’s wicked tendencies. Then a twisted surgeon came to Miami in search of vengeance for war crimes, mutilating Dexter’s nemesis, Sgt. Doakes, and Deborah’s boyfriend Kyle Chutsky before Dexter could stop his reign of terror. Now get ready. Things are about to get pretty weird as we get a glimpse into the nature of Dexter’s “Dark Passenger” and Deborah has to decide if she can come to terms with her brother’s second job. Fasten your seatbelts. It’s going to be a bumpy night. Dexter’s Dark Passenger has been an integral part of him for as long as he can remember. It’s the source of his devilish urges buas well as a sort of guide. It helps him recognize evil when he encounters it. It feeds him clues to help him unravel mysteries. It keeps him safe. Dexter has always assumed that the Dark Passenger was more of a figurative term for a psychotic urge that gripped him when he witnessed the brutal murder of his mother as a toddler. It has never occurred to him that there could be more to the story. All that changes when Dexter reports to a crime scene of a double homicide where two female students were burned and beheaded, their heads replaced with ceramic bullheads. Something about this situation alarms his Dark Passenger. Terrifies it, actually–to the point where it skedaddles, leaving Dexter despondent and alone and confused. Not to mention the target of a mysterious cult that would like to kill him. Navigating the world without his Dark Passenger isn’t easy, and to top it all off Dex’s family life is causing him great stress as well. Rita is busily planning their wedding. Her kids, Astor and Cody, have revealed to Dexter that they have Dark Passengers of their own, which means he has to take them on as pupils to teach them the Harry Code. All while avoiding the cult members that want to kill him. Let’s not dance around it: attempting to explain Dexter’s Dark Passenger was a mistake. It works fine as a philosophic construct, or at least as a mysterious, undefined concept in the Dexterverse. Explaining it was always going to be a tough sell, and using demonic possession by ancient evil spirits like Molloch was a particularly groan-inducing way to do it. It’s just silly. Thankfully, future installments to date omit all references to evil spirits, which means we can pretty much pretend this never happened. Astor and Cody requiring training is an interesting concept as presented here. When I first read this book I was very intrigued as to where it was going to take the story. Well, I have the benefit of experience now, and the road ahead is pretty bumpy. Basically, we’re going to start getting saddled with a lot of stories where the kids get kidnapped to bring us into the final showdown. And it just gets repetitive very fast. You’ve been warned. 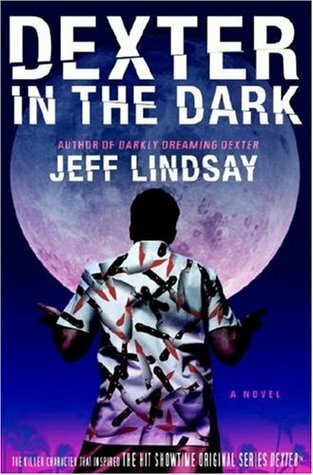 Lindsay remains a wickedly clever writer, but unfortunately Dexter in the Dark is where the book series jumped the shark. He’s been trying to bring back the magic of the first two books ever since, with varying degrees of success. I’d say it’s worth hanging in there (clearly, I have). I wouldn’t blame you if you threw in the towel, but there are some twisted little set-ups ahead that you might miss out on. It took three books for it to finally happen, but at long last Dexter and Deborah are going to have to address the elephant in the room: how does a devoted law-abiding policewoman get by knowing that her adopted brother kills people for fun? Can she get by? Dexter is the only family Deb has left–is that familial connection worth sacrificing everything she stands for? Will she have to turn him in? Really, when you think about it, it makes absolutely no sense that this didn’t get addressed sooner. I suppose I could believe that Deb would bury her head in the sand about her brother’s hobby for a brief period of time, but for the whole thing to be unacknowledged three books later strains credulity. Deb is a take-the-bull-by-the-horns kind of girl. No way would she not express her feelings for this long. When I was first reading these books I actually second-guessed myself into believing that maybe Deb didn’t actually know about her brother–that I had remembered the ending of the first book incorrectly. Well, late or not, here it is: the moral conundrum at the heart of the entire Dexter series played out through Deb’s conscience. Is Dexter a hero for eliminating the scum that get away with it? Or is he just as worthy of punishment as his playtime subjects? Meanwhile, Dexter returns from his honeymoon with Rita to discover that there’s a new maniac on the loose in Miami. This time, bodies are found scattered around the city contorted into macabre art installations. And when the investigation takes a potentially fatal turn for Deborah, Dexter has to team up with her boyfriend, Kyle Chutsky, to get to the bottom of things. They even have a brief excursion to Cuba. Astor and Cody are eager to begin the violent aspects of their training in the Harry Code, but Dex is instead trying to get them to hold off on that until they can pass as normal. Cody gets shoved into the Boy Scouts as part of a test to see if he can play nice with other kids. I’ve knocked this book a lot, so I don’t want to harp. The primary criticism I have is really that it shouldn’t have taken so long for Lindsay to have Deb address her moral concerns. And when she finally does, she comes around to Dexter’s point of view a little too easily. TV Deb had a much more interesting, complex struggle with her brother’s hobby. For some reason Lindsay doesn’t seem to want to be bothered questioning his antihero. I really think he missed out on a huge opportunity for narrative tension in the books. On the page Dex pretty much floats through life unchallenged. His nemesis, Doakes, has already been hobbled and sidelined. No one has stepped up to fill that void. Dex can be interesting without a foil, but I think his story could be so much richer if he had one. Still, this is a decent return to form after Dexter in the Dark. Just decent, though. The focus is a little more comedic than dark. That’s not necessarily a negative, but we haven’t gotten back to the twisted dark humor Lindsay is best at yet. And while the kids figure prominently in the finale for the second time, it hasn’t gotten old yet. 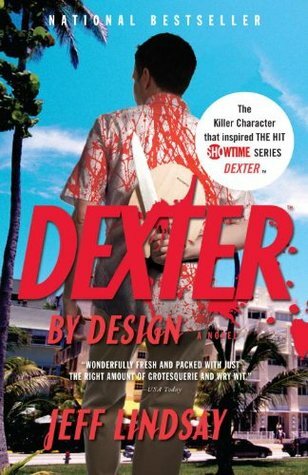 For more Dexter, check out my TV series vs Book series post, as well as Part 1 of my series rundown. Stay tuned for Part 3, which has a thrilling installment where Dexter faces down with cannibals. The stork is also lurking on the horizon.